The Koenigs Panorama Studio has been producing Panoramic Maps for over 20 years. We specialize in producing outstanding Panoramic Maps using latest technologies and media (satellite images, SRTM Radar data, digital elevation models and aerial images etc.). 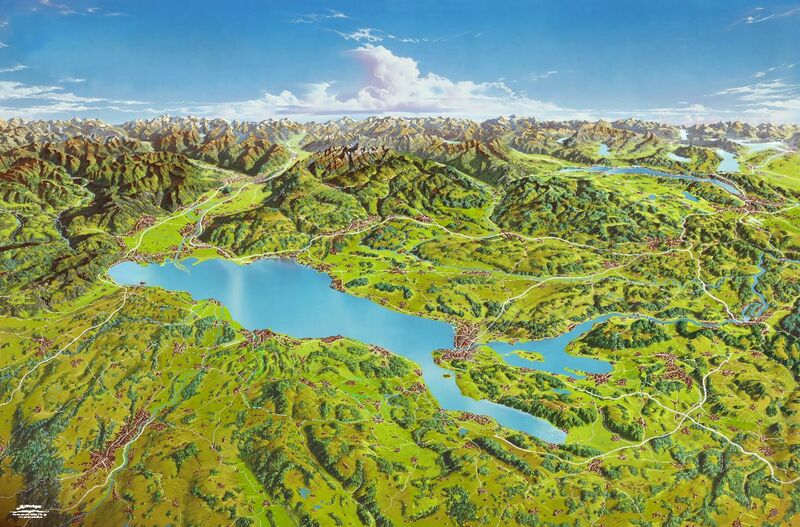 All our maps are produced in highest resolution by the German geographer and artist Alexander Koenigs himself. This guarantees continuing quality of the highest level. Right from the first planning stage through to the final HD product all steps are taken by the artist himself. Attention to detail, geographical precision and very pleasing design are all trademarks of a Koenigs Panoramic Map. 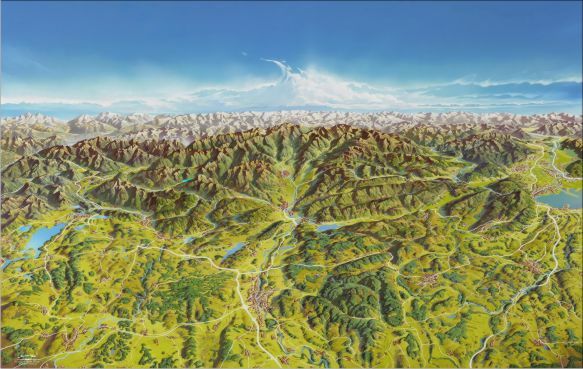 A Panoramic Map is a transformation of a topographical map into a 3D picture. It is much more than a “normal” map, a DEM (digital elevation model) or a computer based tool like google earth. A Panoramic Map offers something unique: it emphasizes special features thus highlighting the character of a region. It shows light, portrays atmosphere, different moods and seasons. 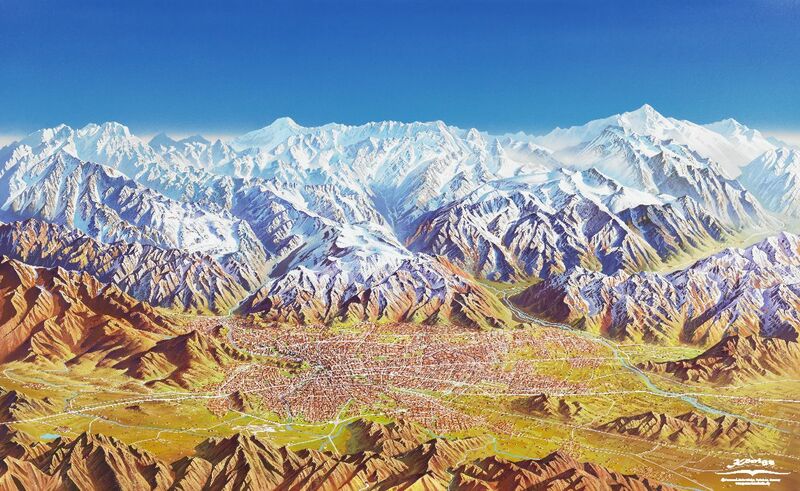 A Panoramic Map is alive and breathing just like the landscape it represents. 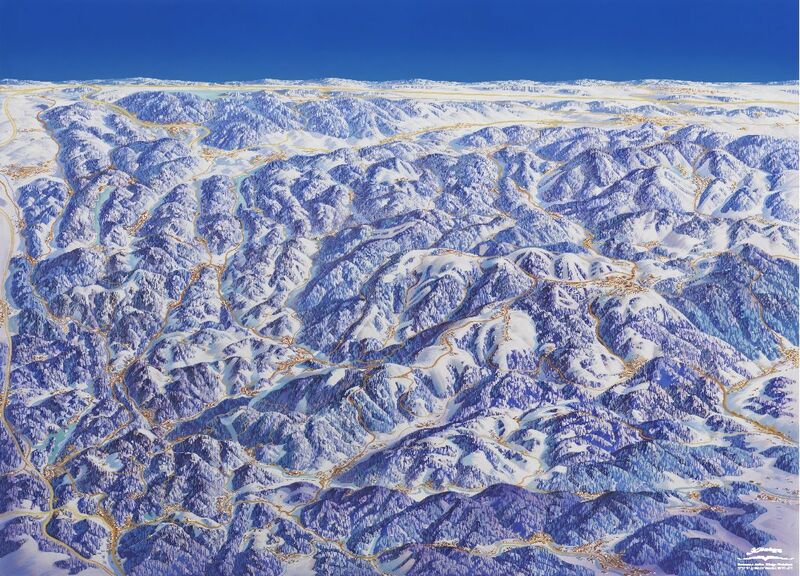 Winter- and summer panoramas, a local region or a continent, mountains or low land, each has its typical features, characteristics and atmosphere which a Panoramic Map will show at their best. Most importantly: your specific wishes and requirements for the Panoramic Map (of your region) will be paramount. Our Panorama studio aims to deliver a product to you which entirely satisfies your expectations and meets your demands completely. Your wishes and requirements will be fulfilled by closely consulting with Alexander before and during the production of your Panoramic Map. Your full satisfaction with your Panoramic Map is our top priority. An ever growing number of international customers is proof of our excellent work and reputation. We are proud of working with you in the future. Please do not hesitate to contact us to ask any question regarding the production of a Panoramic Map of your region. We are looking forward to making you a personal offer and to hearing from you.